My husband and I consider ourselves amateur foodies. One of his hobbies is cooking (lucky me! ), so we like to keep tabs on what is going on in the local food scene here in Houston. I recently read and article on CULTUREMAP about a local restaurant that was named not only the best new restaurant in Texas, but the sixth best restaurant in the America by Bon Appetit magazine! My husband surprised me last Saturday night with dinner reservations to The Pass & Provisions so we could try it for ourselves. Let me tell you, I was NOT disappointed. My photos do not do it justice, but I will still give you a run down of our evening. 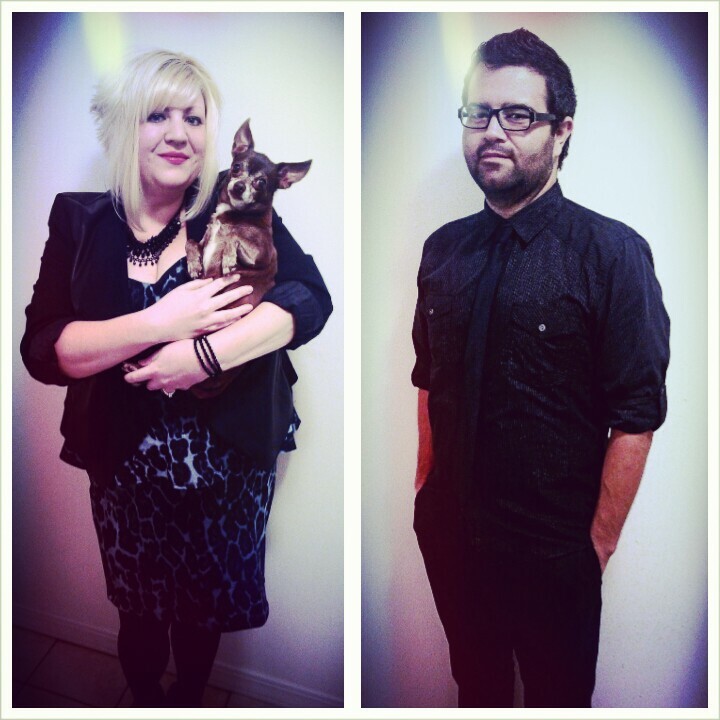 I wore a leopard peplum dress and Juan rocked a black shirt and tie. First things first. I had to figure out what to wear. I love doing my hair and makeup for date nights. On a recent shopping trip with my best friend, I found the cutest leopard peplum dress at Forever 21. She talked me into it, and I’m so glad she did. It worked out perfectly. I added a lot of black accessories to make it more me. My handsome husband wore a black shirt and black skinny tie. Our baby, Louis, didn’t go on date night with us, but he is too cute not to be in the picture. 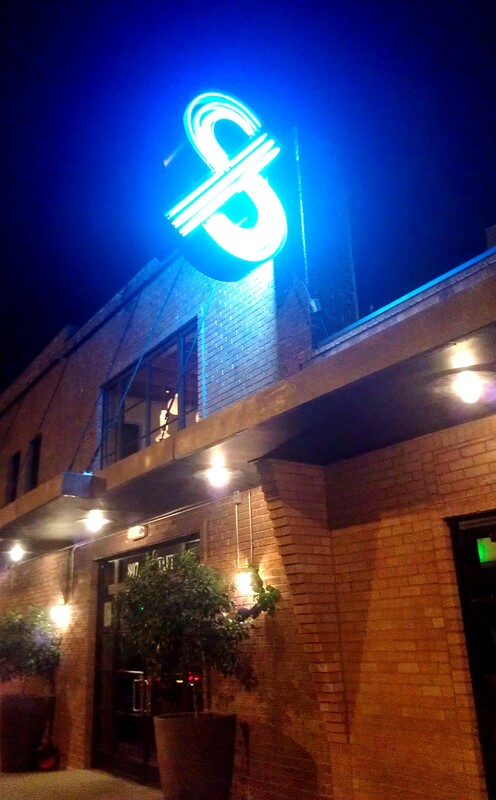 I love the neon sign against the brick building at The Pass & Provisions. We arrived at The Pass & Provisions, and I just loved the way the neon sign looked against the old brick building. The building at 807 was constructed between 1954-1955. It was the original Antone’s PoBoy Deli and Import Company was a Houston Landmark for many years. In fact, they still had an enormous Antone’s sign hanging inside the restaurant. Hanging pedant lamps cast a magical glow and add a relaxing vibe to the entryway. 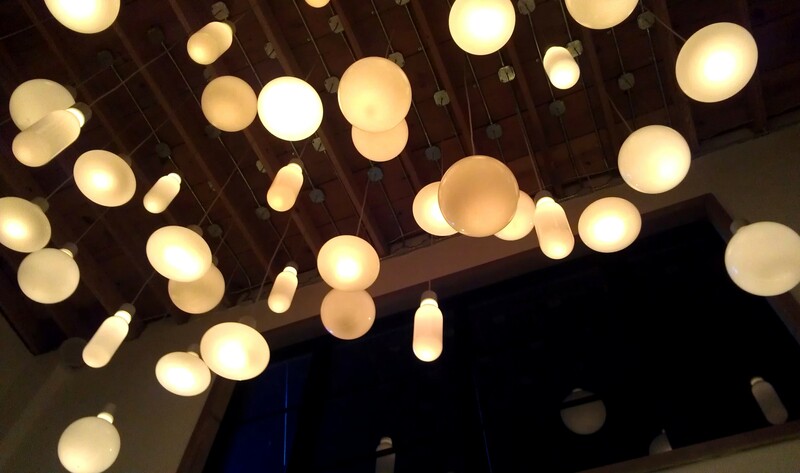 We entered the lobby to check in and I fell in love with their overhead lighting. It made you feel instantly calm and relaxed. One of the things I appreciated most about the restaurant is that it is upscale food without the snooty upscale atmosphere. There are no white tablecloths in Provisions. You are not afraid to talk, laugh and have a good time. You eat at semi-communal dining tables, so fair warning, be prepared to overhear parts of other people’s conversations, especially after they’ve had a few glasses of wine. 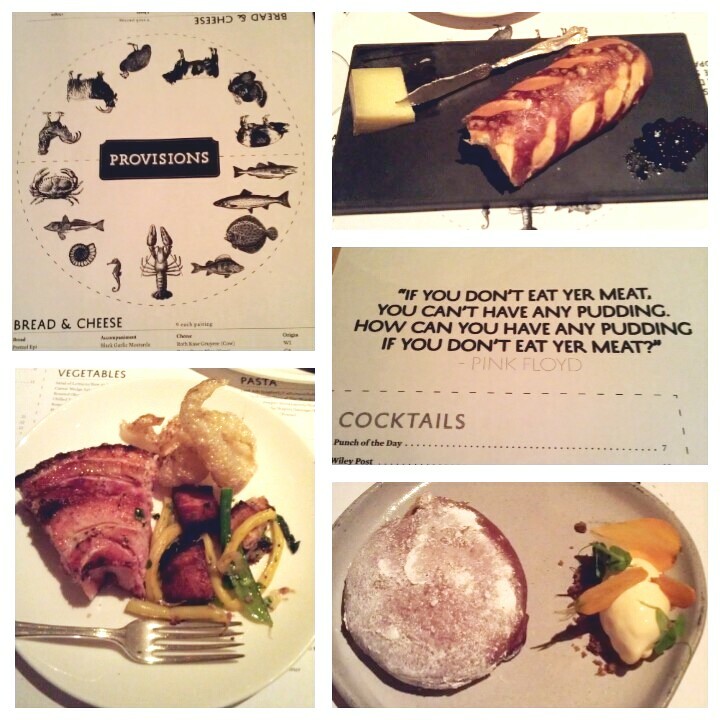 We enjoyed an amazing spread at The Pass & Provisions. For our first course, we chose from their carefully selected bread and cheese pairings. We decided on the pretzel bread with Gruyere cheese and a black garlic spread. It was out of this world amazing. I would have been totally happy just eating that all night long. The roasted garlic was sweet and it went perfectly with the chewy pretzel bread and mild flavor of the cheese. For our main course, we shared the suckling pig for two with bacon and green beans. It comes out piping hot in a big red pot. Believe me when I tell you, this is not one of those restaurants with barely there portions. We both ate a ton and still had leftovers to take home! We were completely stuffed, but there was no way I was leaving without trying the carrot cake donut with caramelized cream cheese ice cream. It was delicious! Inside the donut is a carrot cake tasting filling that oozes out as soon as you cut into it. I’m not a fan of cream cheese, but in ice cream form, I am SOLD. They tasted so well together. We had a great night, and everything was wonderful! They definitely deserve the recognition they are getting. 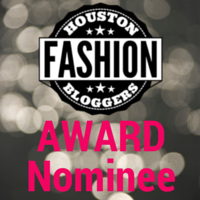 This entry was posted in Date Night, Food, Lifestyle and tagged bon appetit, chef, cooking, date night, fashion, food, food scene, foodie, foodies, glamourbones, houston, houston fashion bloggers, Leopard, men's fashion, Peplum, restaurant, the pass and provisions. Bookmark the permalink.